The Environmental Protection Agency (EPA) recently reported that only nine U.S. states have safe levels of lead in their water supply. These states include Alabama, Arkansas, Hawaii, Kentucky, Mississippi, Nevada, North Dakota, South Dakota and Tennessee. So only 9 states are safe from lead. 41 states had Action Levels exceeded in the last three years. This means they have higher than acceptable levels of lead in the drinking water that they are distributing. As part of the EPA’s Lead and Copper Rule, stated on their website, regulations say that, “if the action level for lead is exceeded, the system must also inform the public about steps they should take to protect their health and may have to replace lead service lines under their control.” The good news is that World Water Day just occurred on March 22nd, and the White House, along with about 150 other institutions, pledged more than $5 billion to improve water accessibility and quality across the nation. Read more here. HEALTH RISKS OF LEAD IN DRINKING WATER There are particular concerns about children’s exposure to lead in water. However, it is of concern to everyone. Lead is a metal and toxic to humans, even at low exposure levels. The Environmental Protection Agency has set the maximum contaminant level goal for lead in drinking water at zero. Over time, lead can accumulate in the body. CHILDREN Behavioral and physical effects of lead happen at even lower exposure levels in children than in adults. Low levels of exposure in children have been shown to be linked to damage of the body’s nervous system. Lead can cause or increase learning disabilities. Other health issues associated with lead include impaired hearing, impaired formation and function of blood cells (anemia), and negative impacts on growth in height. People can be exposed to lead in many ways. We should actively work to reduce or better, eliminate them all. In a generally healthy environment, water is probably the primary source of exposure to lead. The EPA estimates that drinking water can make up 20 percent or more of a person’s total exposure to lead. We wonder if it might not be much more for some people, who have consciously eliminated exposure through the air. 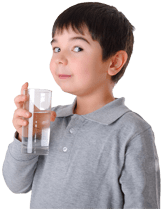 Infants who take mostly mixed formula can receive 40 percent to 60 percent of their exposure to lead from drinking water! Please note that in the majority of municipalities, the water also includes fluoride, which is also proven dangerous for children. In rare cases, ingestion of lead can cause seizures, coma and even death. ADULTS Adults exposed to lead may experience a decrease in kidney function. The kidney is the body’s filter. Without it functioning well, the bodies ability to remove unwanted things from the body is greatly diminished. Lead exposure can also increase blood pressure and hypertension. This is a very serious issue for significant parts of our population. Lead exposure can bring about reproductive problems in men and women. 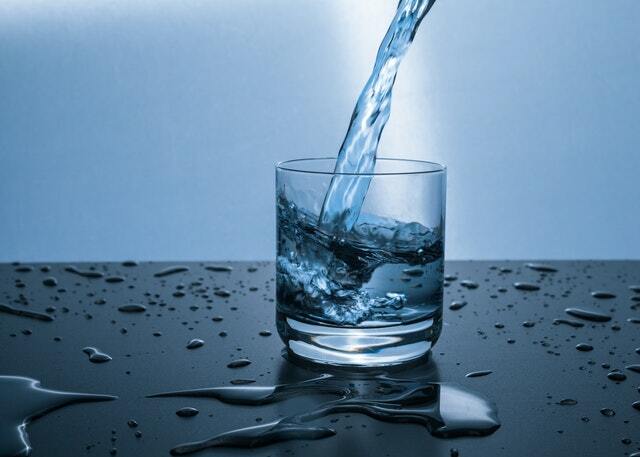 Water filters sold by Friends of Water very effectively filter out lead – and fluoride. Don’t wait until you have health problems. Filter your water now!